Rewind back three years ago and we were living in Glasgow, I was running for a local club called Garscube Harriers and enjoying running for them in short cross country, hill and road races. I few of my club mates mentioned that they would be running the West Highland way race which was a 95.28 mile race from Milngavie to Fort William. I was thinking to myself why would anyone want to run that far, that’s completely insane! 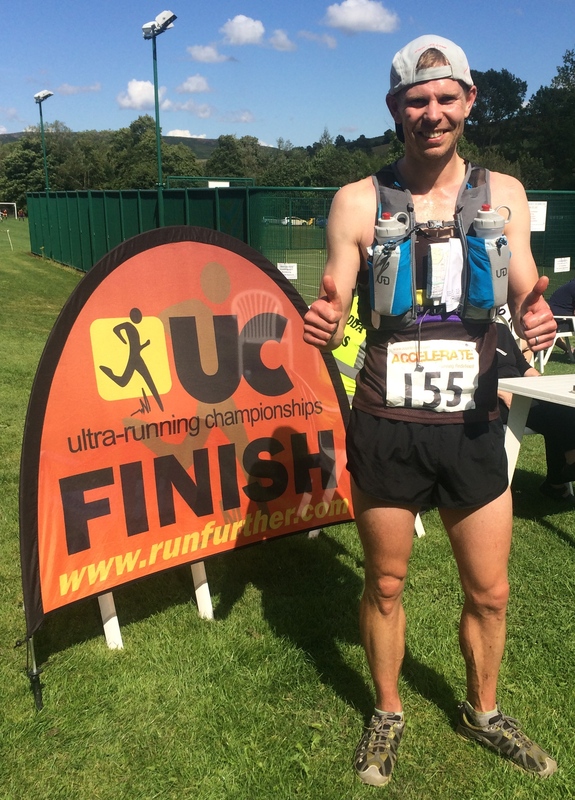 That was it, the seed had been planted and I’d started researching about ultra running. Having read an excellent book by Scott Jurek called Eat & Run. This had inspired me to see how far I could physically and mentally push myself, however I had no interest in running a marathon on the road, that would just be too boring! 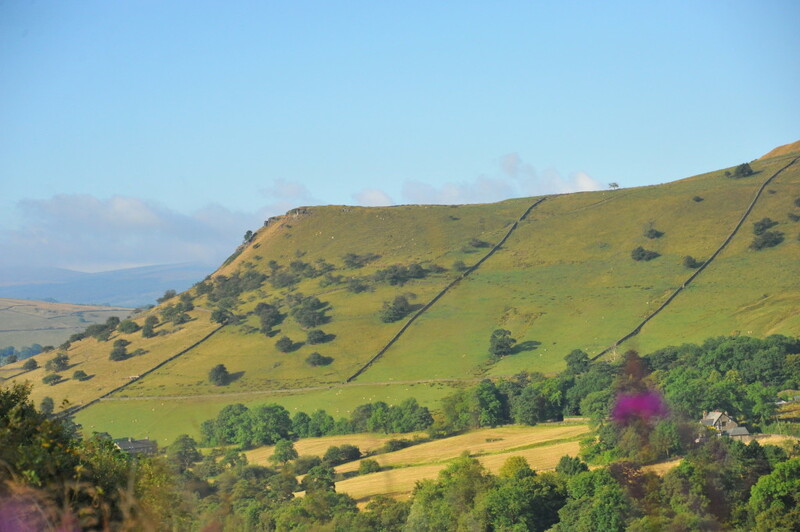 After moving to Sheffield I’d decided to train for the Roaches and Edale Skyline which were both long distance fell races 18m and 21miles respectively. This is what I loved doing but my race performances were not great when compared to short races that I’d run in the past and I’d hit the wall a few times on these long races. I had clearly a lot to learn! I decided to finally bite the bullet and enter the Long Tour of Bradwell, a 51km race with 2,094m of ascent in the Peak District and gave myself two months to train for it. I’d learnt to take the pace a little slower on my long runs now and experimented with hydration and food whist running. 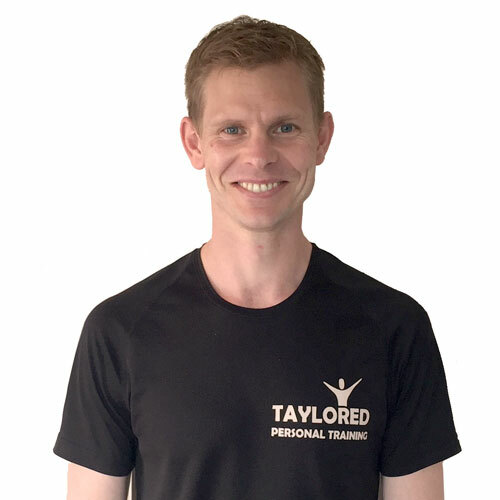 I’d increased the distance of my long runs on a weekly basis and logged my longest ever run of 27.5 miles all off road and was on track to my first ultra race with two weeks to go. Yikes!!!! Saturday 9th of August arrived so quickly and I found myself on the start line, feeling unsure of what I was about to put myself through! While the organisers counted down the start, 30 seconds to go, 10, go!!!! 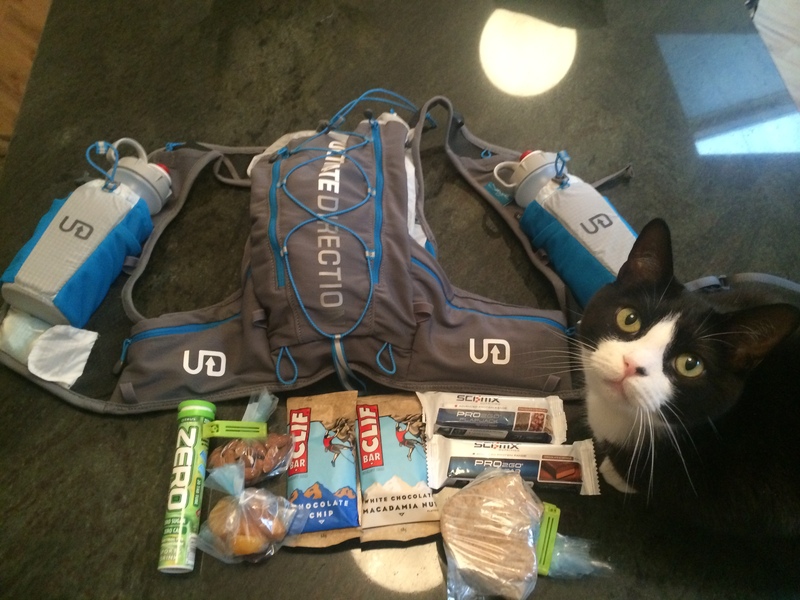 I was frantically checking my food / water / map were in the correct pockets in my ultra vest. This was it, here we go. 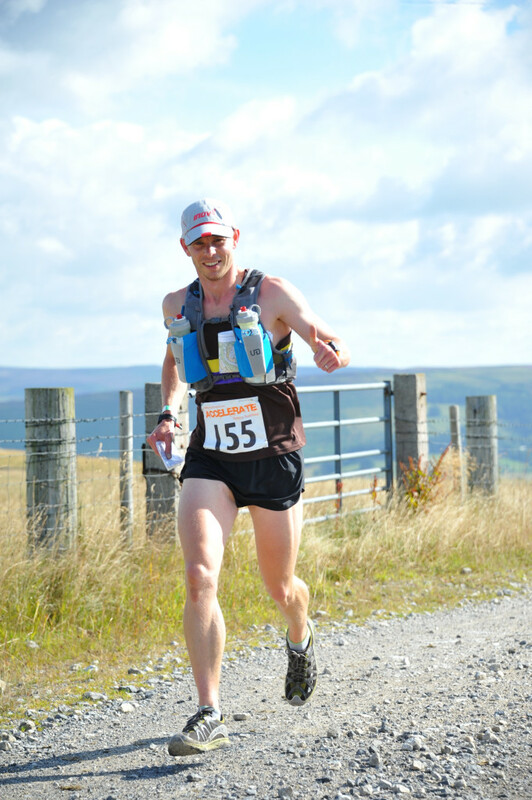 I was towards the front and was determined not to go off too fast, having spoken with Mike Nolan of Dark Peak Fell Runners (DPFR) who reminded me to start steady and build up speed slowly. I reached check point 3 at Castleton in what seemed like no time at all and felt great ahead of Mike I hasten to add, quick sip of water at the drinks station and back on with the job in hand running. Catching up with Jon Hedger of TORQ performance on the road section, I’d decided to sit on his shoulder and pace it, follow him I thought as we reached checkpoint 4,5,6. By this time we were descending Loose Hill and heading towards Hope for a well deserved drink and refuel. I’d already finished my two 500m bottles with electrolyte tabs in and one pro2go flapjack bar. So I refilled my bottles and dropped two more tabs in them. Quick look at the map and was off running again on the tracks through Hope, I was shortly caught by a group of four runners, Mike being one of them, I have a quick chat with him, all going well, yes we said, keep going. I’d had no signs of what was about to happen. We ascended on the field / path up towards Win Hill all with the typical fell runners walk, hands on knees job! I started to run again as it flattened out and bang the most awful cramp hit both of my quads, the pain stopped me dead in my tracks. I stretched and was hit again by the cramp but in both of my hamstrings as well!!! Ouch!! The thought crossed my mind, I couldn’t continue like this and was thinking of the quickest and easiest way back to race control in Bradwell. Somehow I managed to hobble on towards checkpoint 8 and stopped at checkpoint 9 at Ladybower reservoir and again refilled my half empty water bottle and grabbed a handful of jelly babies to munch on whilst running on the only flat part of the course the Thornhill trail. The cramp from my legs had gone, but it was always in the back of my mind reminding me don’t push too much. I caught some runners up in front of me who must have been running the half tour of Bradwell as the carried straight on down the track, I turned left as I was running the long tour and through some fields, over the river and dib in at checkpoint 10. I was now was in Bamford and at the halfway point of the race! I’d been caught by a runner and we navigated through Bamford to find the new section of the course that was different to previous years. Nice section of road running I thought, we chatted for a short while and then three more runners appeared on our shoulders who had apparently taken a wrong turn in Bamford. Honestly how can you go wrong in Bamford when we were given directions to follow! Anyway these runners were moving quicker than me so I let them move ahead and they left me. I was quite happy to just run at my own pace, I knew where I was going and looking forward to seeing my support Chris Day along Stanage edge. I ran / walked up towards the start of Stanage edge found checkpoint 11, most obscure place of the track and continued until I saw Chris. I was so glad to see him, he refilled my water bottles and I dropped two more tabs in them both and gave me some dried apricots to munch on, quick chat whilst we both ran, I thanked Chris and then I left him to continue towards checkpoint 12 at Upper Burbage bridge. Quick dib in and having three possible route choices here, I chose the easiest and quickest route straight down the main path below Burbage rocks and crossed the A6187 to checkpoint 13, only 4 more checkpoint to go!!! I was caught by a 61 year old man called Tony who also was running his first ultra race that day and we decided to run together as we were of a similar pace. We took it in turns to navigate and the miles flew past. It was great to chat which dulled the pain that my legs were now feeling. I ate my turkey pitta and finished one water bottle whilst at checkpoint 14. Straight down the ski slope at Bolehill woods and reminiscing about how many times I’d run this area before either on my own or with my running groups out on a fell run. Bang! the cramp hit me again in both quads. Think I’ll walk this bit, the cramp was on/off. We pushed on both determined to finish the race. One of my clients Sarah Clothier was waiting for me at checkpoint 15 by the Leadmill bridge in Hathersage. A quick chat with her and some much needed cold black coffee for a caffeine boost and I shared my nutella sandwich with Tony. We must have stopped for 5 mins here both just eating and refilling our water bottles. One more check point to go then the finish in Bradwell, lets go! Up and through Highlow woods we ran / walked to checkpoint 16 then it was a slow drag up Abney Clough which seemed to go on for ever finally emerging in Abney. Tony was starting to really struggle with stomach issues and urged me to push on without him. I encouraged him to keep up with me and I got him as far as the last decent over Bradwell Edge. My quads were burning big time on the last decent into Bradwell but I knew that I had to empty my tanks for the last kilometre. Tony still had stomach issues and I think he was sick in a bush somewhere! He said just go I’ll be fine. I was surprised to find that I was able to lift my tempo on the road through Bradwell and wasn’t in too much pain! Not much further to go now I thought, running past the playground where we had first started some 6 hours ago. Into the playing field with a few claps from spectators and my final dib in. I had completed the Long Tour of Bradwell and I was so pleased to be in one piece. I was aiming to finish in 6 hours and managed to finish in 6hrs 18 mins, so I wasn’t too far off considering what I’d just been through. What an amazing feeling, words can’t describe how I felt at that precise moment in time. I stretched my aching quads and sat around with the other finishers drinking tea and soup discussing the highs and lows of the race. Tony finished about two mins behind me and he came over and thanked me for all the encouragement that I’d given him over the past couple of hours. The feeling was mutual as his constant chit chat had kept me going too. Looking back and analysing my race, the reason why I cramped up early on was due to attacking the first 1/4 of the course too fast, even though I was taking it steady / walking up the steep inclines I was hammering it down the decents and thus paid the price, nearly costing me the race! I could have shaved a few mins off here and there if I hadn’t helped Tony get through the last 10km. After my first bout of cramp my target time of 6hrs went completely out of the window and I only focused on finishing the race and the sense of achievement helping someone who was struggling to finish the race blows my target time of 6hrs out of the water. I’ll be back next year, more focused, fitter and wiser.